Exercise is important for our health and to sit is unhealthy. That sounds logic. But Dutch people appear to be champions at this: a significant part of our workforce spends five days a week on an office chair in the office. The innovative furniture brand Lensvelt delivered a solution for this as early as 2010: the Electric Sit-Stand desk. With this flexible and dynamic program, Lensvelt offers a choice of desks of various sizes, shapes and colors. This allows you to create individual as well a dual work or meeting spaces. 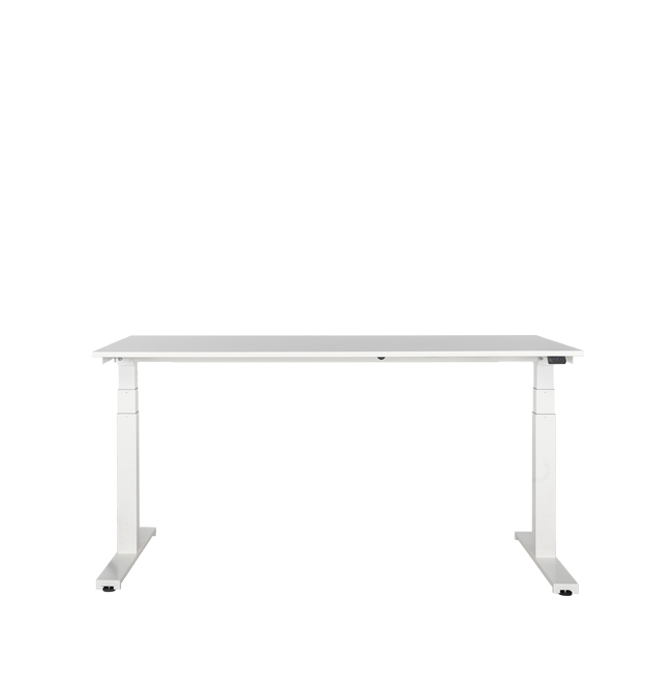 The desks are electrically adjustable from 65 to 130 centimeters, so you no longer have to sit passively all day long. This is how Lensvelt offers healthier offices and gets the office worker moving. Nowadays this is a necessity rather than luxury: researchers claim that long periods of sitting increases the chance of an early death. 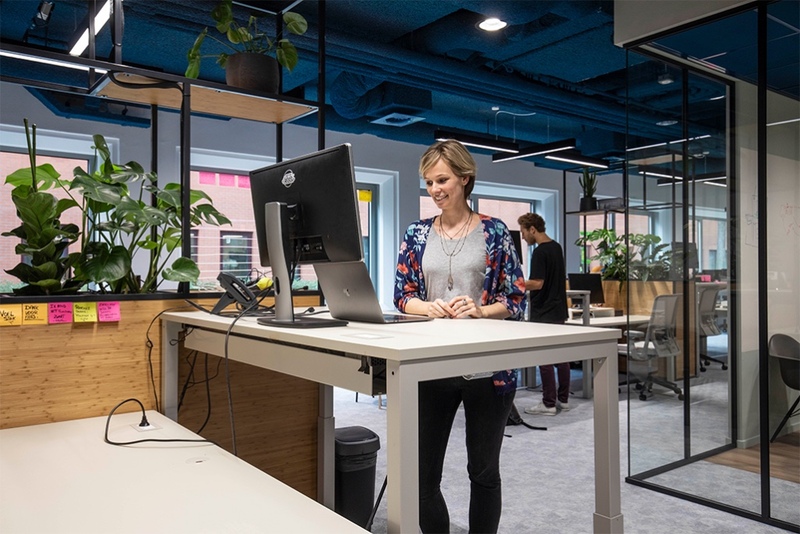 Not only going to the gym after or before work, but also the purchase of the Sit To Stand desks at work are a good start of a behavioral change. Wendy van Lienden of Q42, working on a Sit To Stand desk. 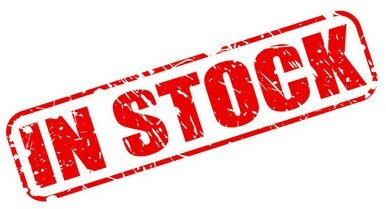 Lensvelt has 100 Sit To Stand desks in stock! The fast-growing company Q42 consists of more than eighty employees spread over a large branch in The Hague and a smaller office in Amsterdam. Q42 is the creator of, among other things, an AR app for PostNL, the Volkskrant app for the Persgroep, the Rijksmuseum app and the website Below the Surface for the Municipality of Amsterdam. At Q42 everyone also has the opportunity to develop their own ideas into products or set up a label or start-up. Examples of these so-called ventures are LessonUp, Turtleblaze, and Hack the Planet. Lensvelt is an engaged design furniture label and project contractor based at the Herengracht in Amsterdam. Since its founding in 1962, Lensvelt has been offering architects and interior architects the means to make ever bettering healthier interiors. Lensvelt collaborates with over 150 high-quality designers and labels. 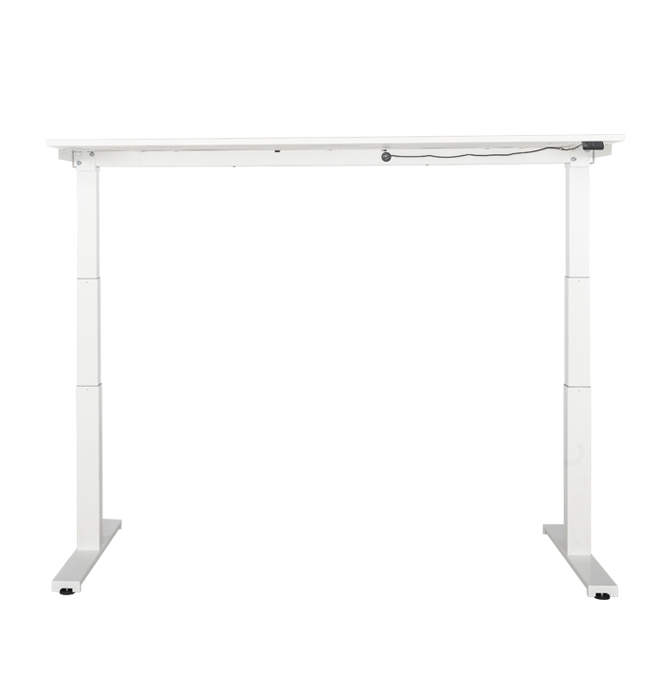 Electric Sit To Stand Height Adjustable Desks, with or without additional accessories, various cable tray versions, partition walls and linked arrangements for several people.From €810,- incl. VAT.